Most of the small issues related to cars can be fixed using little efforts and innovative solution ideas. If you go to a professional car repair repair-shop you would be charged a fortune for resolving the same problems. So why waste money and time on costly car mechanic when you can just solve these minor car problems on your own and that too at home. Here are a few amazing hacks for car issues which would make it easier for you as far as the car maintenance is concerned. The cars get the small scratches all the time due to small brush-offs at the road or due to the mischievous kids in the neighborhood. But getting these small scratches damn expensive. At the same time, these scratches tamper the beautiful look of the car. So what to do? Well, you can use nail polish in this case. Buy the nail polish that matches the color of the car. (They come in zillions of colors and shades.) Apply the nail polish on the scratch and the scratch will vanish in a second. This restores the beauty of your car, in fact, enhances it! Headlights are the first thing that people notice when they look at a car. That’s why it is important to cherish the shine and glory of the car’s headlights. Well, this can be done easily using home remedies. Apply a small amount of toothpaste on the car headlights and taillights. Spread and rub using a toothbrush. After a while clean the lights with plain water. Use car wax if you want to enhance the luster further. Your headlights will shine like never before. Ensure parking your car facing east. This is a bit difficult if you are facing the parking issues. But once you get rid of the parking problem, nothing can beat this parking strategy. As the sun rises from the east, this will help your car to get warm radiations from the sun. This will decrease the defrosting time for your car in winter. This will make your journey warm and easy. This is the oldest trick in the car hacks history. 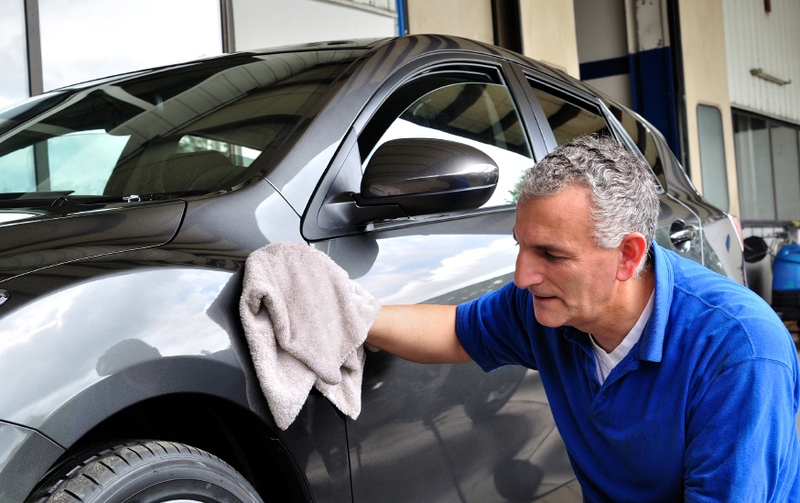 If your car has a small or even a relatively big dent, you can fix it on your own. This trick even works with the washers and dryers. Thus you won’t need to pay an extra penny on the removal of the car dents. This will add on to the beauty of the car. Well, the glaring sun causes irritation as well as a distraction. How to avoid it? The sun visor is fixed at the windshield doesn’t always come handy as a help. In this case use tinted plastic sheets. They stick to your windshield using the static energy from it. Thus you don’t need to worry about the mess up of the sticky marks or cleanups after removal. This provides immense relief and comfort while driving. There is always a pile of mess in the trunk of your car. To avoid the chaos in the back of the car, fix a couple of laundry baskets in the back of the car. This helps you keep the things organized. These baskets are cheap and easy to fix. If you get this done, you won’t need to worry about losing important stuff or roll-ups of the material in your trunk. A lot many of the other things can be done to make your car look beautiful, These make the maintenance of your vehicle easy and flexible. These hacks come helpful as money saver and time saver solutions. It would make your life easier and make you enjoy the ride each time you drive your car.